Relocating near or far? 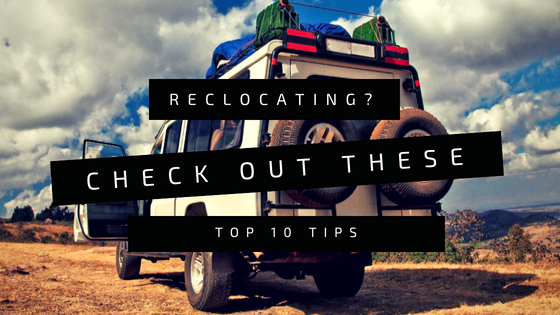 Check out these top 10 tips! Check out these top 10 tips of things to keep in mind. PRIORITIZE – Moving is such an exciting adventure and searching for the ‘perfect’ home can be quite stressful. But it doesn’t have to be! If you prioritize your needs and wants and stick to that list, then your home search becomes a breeze. If you have a family of 5 and 2 dogs and love being outdoors, wouldn’t it make more sense to only look at homes in the 2000+ SQFT area with 1/2 acre or more? Eliminate the homes that do not and will not meet your needs. Create a written schedule of to do’s – Write down your to do’s so that you can keep track of things easier. Color code your boxes – This helps you separate and unpack more efficiently. Don’t mix rooms while packing, remember to keep master bedroom with master, kitchen with kitchen etc. Social media groups – Joining local social media groups prior to your move helps you to familiarize yourself with the area. You’ll want to know where the best places to eat are after you settle in!! Tour the school – If you have children, ask for a tour of their new school. Let them walk around and check things out on their own. It will help with the transition. Transfer records – Call your health provider to let them know about your new move. HAVE A GOING AWAY PARTY!